California voters will decide in November on Proposition 10, which would allow cities to expand rent control. PolitiFact California looks at claims made by elected officials, candidates and groups and rates them as: True, Mostly True, Half True, Mostly False, False and Pants On Fire. Listen to the No on Prop 10 ads — about California’s much-debated rent control measure — and you’d think it’s a deeply flawed initiative that will drive the state’s housing crisis ever-deeper. Click over to the Yes on 10 spots and you’d get the impression renters in California desperately need this measure to pass. So, which is it? Which side in this tustle is telling the truth? Voters in November will ultimately decide on Prop 10. The measure would repeal the state’s Costa-Hawkins Rental Housing Act and allow cities and counties to expand rent control within their jurisdictions if they so choose. If it is defeated, the state law, which prevents municipalities from applying rent control to apartments built after February 1995, condos and single family homes, would remain in place. As voters weigh Prop 10, campaigns for and against it are likely to continue to flood TV, radio and social media with sometimes questionable statements about the measure. To help sort fact from fiction, PolitiFact California fact-checked several of the most prominent assertions made by each side. Opponents frequently make these claims. And economists generally agree with them. Their argument is that some landlords will find another use for rental properties if profits are capped. An October 2017 study by economists at the Stanford Graduate School of Business found landlords in San Francisco converted rent-controlled apartments to condominiums and even knocked down and rebuilt entire buildings to escape restrictions after that city expanded them in 1994. But other experts say expanding rent control won’t necessarily slow housing construction -- especially if cities implement more moderate regulations and continue to exempt new construction from rent control. Miriam Zuk, a housing researcher at UC Berkeley, wrote in a 2015 blog that the six cities with rent controls in the San Francisco Bay Area actually produced more housing units per capita than cities in the region without rent control from 2007 to 2013. In an interview, Zuk said those findings are not the result of a rigorous study and did not account for other factors that influence housing production. This claim was made in a recent Yes on 10 TV ad. We examined it in a fact check and rated it Half True on our Truth-O-Meter. Prop 10 would not require cities to impose rent control on single-family home rentals, or any other residences. But it would give them that option. Currently, single-family homes are exempt from rent control in the state. Prop 10 supporters say it would be a politically poor decision for cities to impose rent control on single-family homes, adding that no cities currently regulate them that way. But that doesn’t mean it won’t happen. We found the claim was only partially accurate. In a related statement, opponents argue Prop 10 will decrease the value of homes. In its analysis, the nonpartisan California Legislative Analyst’s Office found if communities decide to expand rent control, "the value of rental housing would decline because potential landlords would not want to pay as much for these properties." This claim is from a No on 10 ad. And it’s technically correct: Nothing in Prop 10 explicitly addresses homelessness. The main focus of the initiative, however, is repealing the Costa-Hawkins law. And as the Yes on 10 campaign says on its website, the proposition doesn’t claim to be a fix for everything: "It won’t solve all housing problems, but it will provide your local government an important set of tools to take action." By capping rents, the Yes campaign suggests Prop 10 could prevent some Californians from being pushed onto the streets by rising rents. "Homelessness among retirees, veterans, and others on fixed incomes is on the rise," the Yes campaign says on its website. "More than three-quarters of California’s low-income seniors are financially burdened by rent, according to UCLA. When the rent goes up, so do the number of homeless people." Supporters often make this argument, including in this Yes on 10 ad. 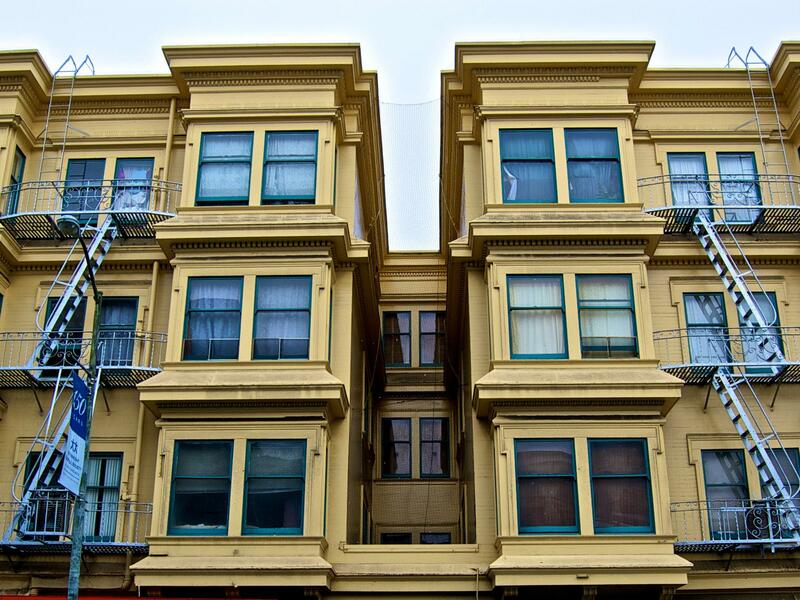 Economists agree there’s a financial benefit for those covered by rent control. They also say not all tenants in a city are covered by those rules, and the majority of renters see no benefit, or could experience higher rents. The Stanford study, for example, found tenants in San Francisco with a rent-controlled apartment saved anywhere from about $2,300 to $6,600 every year after the city expanded rent control. Notably, rent control did not apply to some smaller apartment buildings. Once the expansion took effect, average rents citywide ticked up 5 percent because some landlords took their rental units off the market, leading to greater scarcity including for those without any rent control protections. "The decrease in supply actually raised rental prices across the city as a whole," the study’s co-author, Rebecca Diamond, said earlier this year. She added that San Francisco’s experience could translate to other cities statewide. "Whether you get the exact same magnitude is hard to say, but I think these general (market) forces are likely identical," said Diamond, an assistant professor of economics at Stanford. Rent control "is a boon to the people that get it," added Christopher Palmer, a finance professor at the Massachusetts Institute of Technology, who has studied rent control, in an interview with Capital Public Radio earlier this year. "That comes at the cost of landlords and potentially at the cost of other tenants in the city that are paying higher rents or that are having scarcer housing. Or even future tenants that are going to get into a unit someday at some very high rent." We expect a steady flow of rent control claims in California leading up to the Nov. 6 election and beyond. If you hear one we should examine, email us at politifactca@capradio.org or contact us on Twitter or Facebook with your suggestion.